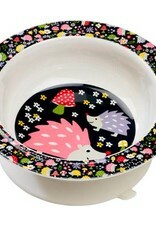 With cuddly hedgehogs and a flowery Euro-style print, The Hedgehog Suction Bowl warms up the table at mealtime. 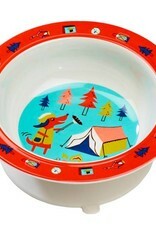 The removable suction base is designed to help keep the bowl in place on most smooth surfaces. 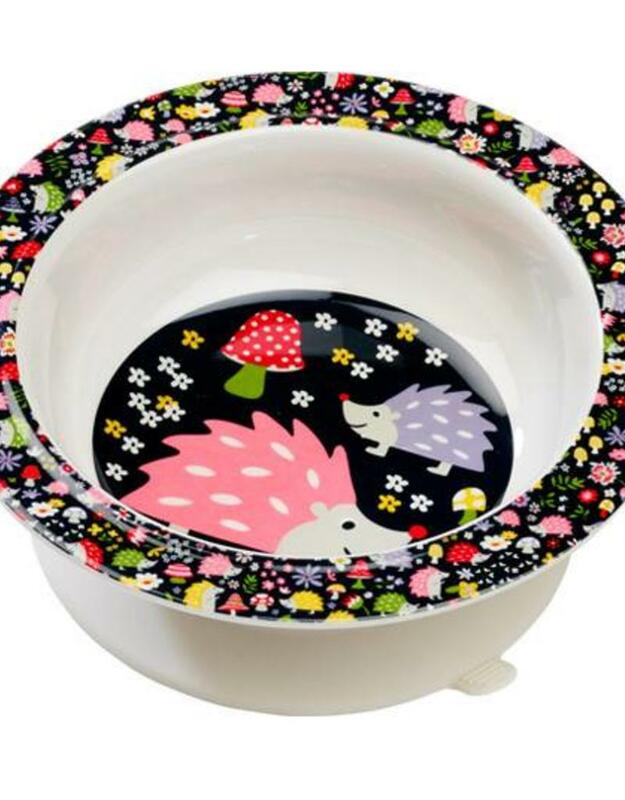 Size (inches):	Bowl measures 6.25 dia. x 2.25 h and holds 12 ounces. 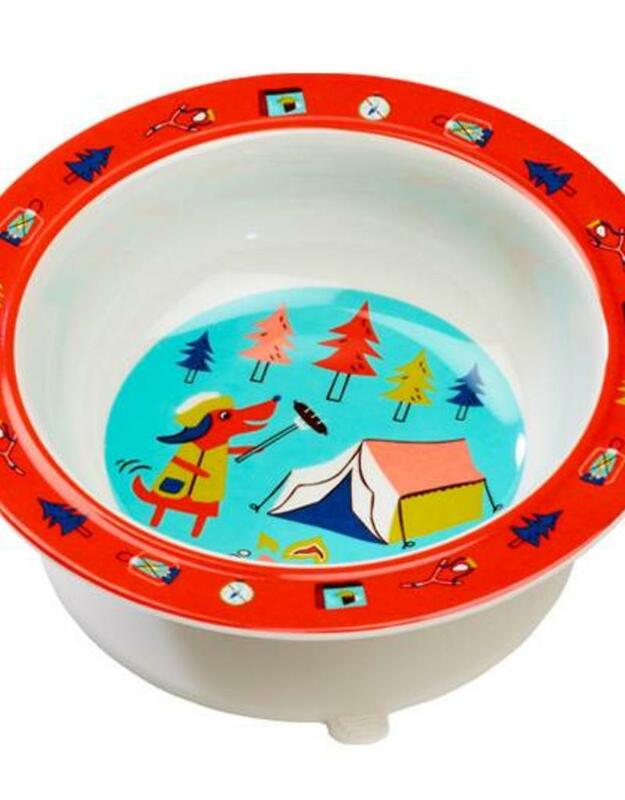 Durable melamine and silicone bowl. Lead-free. BPA-free. Non-toxic. Gift box made of recycled materials. Dishwasher safe, but remove suction base first. Hand wash for best results. Do not microwave. Melamine, while more durable than ceramic, is not unbreakable.